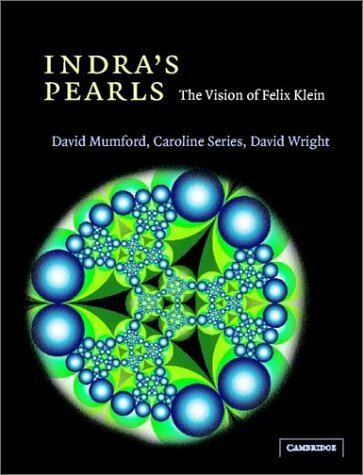 August’s featured book of the month is “Indra’s Pearls: The Vision of Felix Klein” by David Mumford, Caroline Series and David Wright. “The book explores the patterns created by iterating conformal maps of the complex plane called Möbius transformations, and their connections with symmetry and self-similarity. In the glistening surface of each pearl are reflected all the other pearls … In each reflection, again are reflected all the infinitely many other pearls, so that by this process, reflections of reflections continue without end.